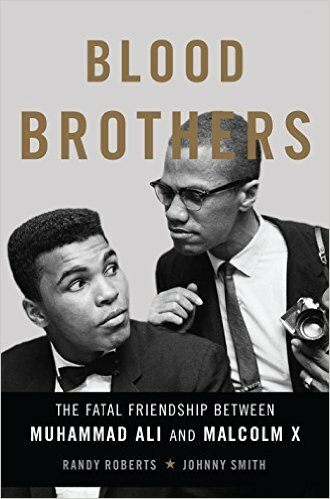 The Context of White Supremacy hosts the ninth and final study session on Randy Roberts and Johnny Smith’s 2016 release, Blood Brothers: The Fatal Friendship Between Muhammad Ali and Malcolm X. The text preceded Ali’s death by mere months. Roberts and Smith, both Suspected Racists, present their analysis of the genesis and abrupt end to Ali and Minister Malcolm’s bond and how their friendship evaporated as Minister Malcolm’s exile from Elijah Muhammad and the Nation of Islam became permanent. Unfortunately, Ali was not able to mend things before Malcolm’s 1965 assasination. Last week’s session detailed Ali and Minister Malcolm’s travels throughout the continent of Africa. They detail Minister Malcolm’s meetings with African leaders and citizens and his efforts to conceptualize Racism as a global problem for all black people. They provide a detailed analysis of how the CIA and international enforcement agencies pressured African leaders to distance themselves from Malcolm. The book also detailed Ali’s massive popularity on the continent, especially his notoriety with Muslims. However, they emphasize his ignorance of orthodox Muslim practices and diplomatic missteps when visiting Nigeria. Most importantly, the book completely omits Minister Malcolm being poisoned while in Egypt; it seems improbable that Elijah Muhammad and the Nation of Islam were behind this attack. As we complete the reading this week, we’ll cover the execution of Minister Malcolm X, and how this impacted Muhammad Ali both inside and outside the ring. Again, this text should highlight the importance of not name-calling black people.